Two Japanese companies have signed agreements to buy liquefied natural gas (LNG) cargoes from the LNG Canada project, Reuters reported. Toho Gas Co signed a basic agreement with a wholly-owned subsidiary of Mitsubishi Corp to buy up to four cargoes or about 0.3 million tonnes per annum (mtpa) of LNG from the project over 15 years starting 2024/25. Tokyo Gas Co signed a heads of agreement with a wholly-owned subsidiary of Mitsubishi Corp to buy up to eight cargoes or about 0.6 million mtpa of LNG from the project over 13 years starting April 2026. Both firms will buy on ex-ship basis with destination flexibility. 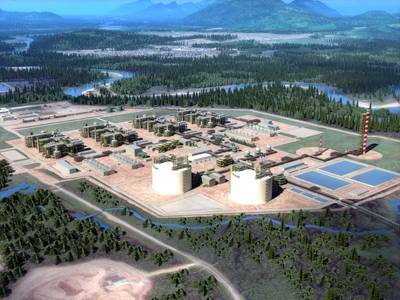 The mega $31 billion LNG project on Canada's west coast received the green light last week from project leader Royal Dutch Shell, Mitsubishi and other partners.